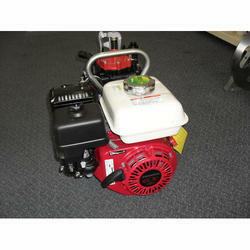 We are dealing in Multi Fuel Engine Pump Set. Water for hydrant system is supplied by diesel engine driven pump One no., water storage tanks of total capacity 100 cu.m. is provided. Pumps work under positive suction head. The outdoor piping for the system in general is laid under ground. Pumps shall only be stopped manually. Manual start/stop provision is provided in local control panel. 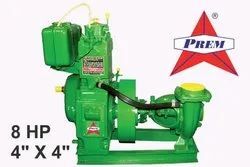 Air Cooled single cylinder horizontal 4-stroke direct injection hand start diesel engine pumpset. Weigth - 70 kgs, RPM 2600, Mileage - 2.5Hrs/Ltr. Weigth - 75 kgs, RPM 2600, Mileage - 2Hrs/Ltr. Our Engine Coupled Pumps are noted for precision machinery and are manufactured in most modern workshop fitted with precision machine tools.These are available in heavy special and medium quality to suit requirements and give maximum output with minimum cost . Flow Rate: Upto 60 L.P.S.